Just keep swimming when you walk by these in a grocery store. Nabisco is a staple in nearly every American household. They produce popular packaged goods such as Planter’s Nuts, Triscuits, Chips Ahoy, Nutter Butter, Wheat Thins, Nilla Wafers, Fig Newtons, and Oreos. 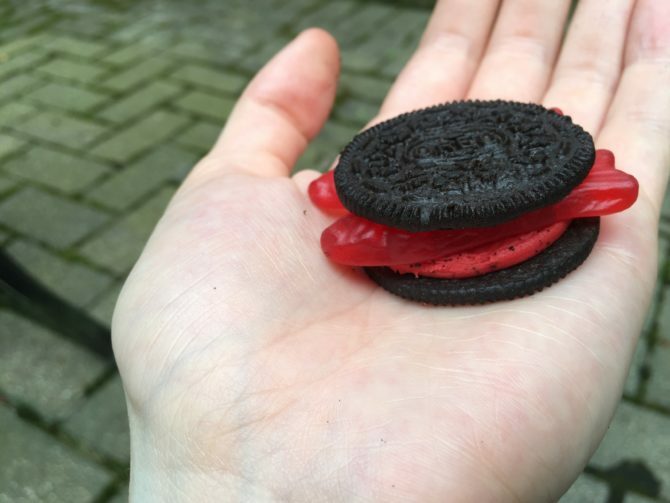 The Oreo production line has been a bit busy recently with a new limited edition flavor, Swedish Fish. It’s only available at Kroger stores, but I was able to order mine off Amazon. I tried them so you don’t have to. I opened the bag and I was taken aback by the smell of cherry cough syrup. Slightly concerning, but I didn’t back out from the challenge. Once I took a bite, I was immediately questioning everything I knew about Swedish Fish. Do Swedish Fish actually taste like this? Why do I even like Swedish Fish? I had a bag of Swedish Fish on hand and did a highly necessary taste test. 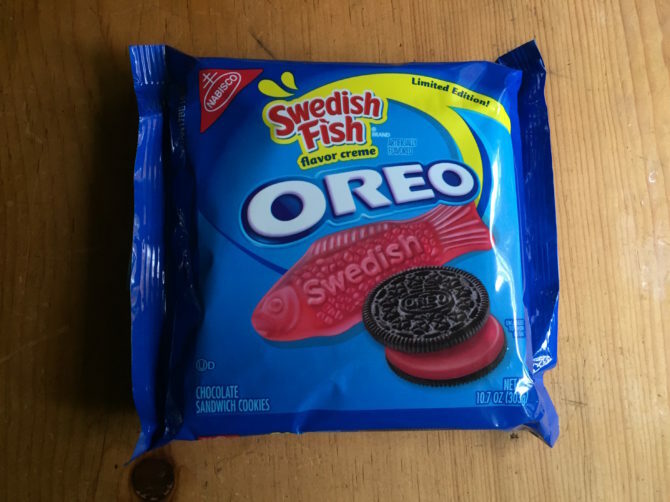 I calmed down when I realized that Swedish Fish are still delicious, and that it’s the Oreo version that is not good. I started to feel bad for these little cookies, and tried to make it taste better. I made a sandwich by putting two Swedish Fish in the middle, and it made the cough syrup flavor more bearable. 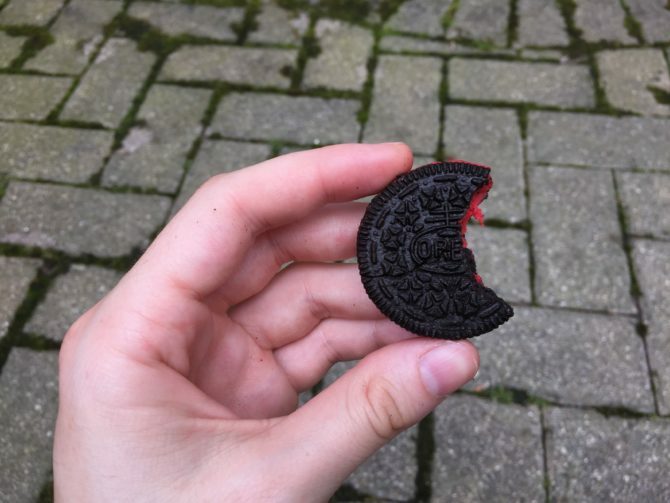 Hey Oreos, if it ain’t broke, don’t fix it. Other flavor flops have included the Root Beer Float Oreos, Limeade Oreos, Fruit Punch Oreos, and (the worst of all) Sugar Free Oreos. Don’t get me wrong, there have been some great flavors. Cookie Dough Oreos, S’mores Oreos, and Birthday Cake Oreos are a delicious. The Swedish Fish flavor, on the other hand, closely resembles Fonzie jumping a shark on waterskis in a leather jacket.